For those looking to retire or vacation in Mexico, Cabo San Lucas is an amazing place to live. Not only because of those beautiful sunsets, but also because the cost of living is 20-25% less than living in the United States or Canada. This can be extremely beneficial for those who want to make their money last longer while living an enjoyable lifestyle. With all of the comforts of home (including Costco, Walmart, and The Home Depot) daily life is a piece of cake. You can grab a pint of beer for less than three dollars, or two tickets to the movies for less than six dollars. A romantic dinner for two including appetizers, entrees, and desserts costs only $25-$30. Groceries are also far less expensive—it’s only $2.50 for a roast chicken and $2.25 for a carton of eggs! You can even have a housekeeper and gardener for $20 per week. With all the luxuries of home, but at a quarter of the price, Cabo San Lucas can’t be beat. Let’s not forget about housing—that is, after all, my specialty. After living in California for 25 years, I moved to Cabo San Lucas ready to experience endless beaches and year-round sunshine—for a small portion of California prices. In the United States, half a million dollars would buy you a decent sized home in a subdivision. In Cabo, it can buy you beachfront property. 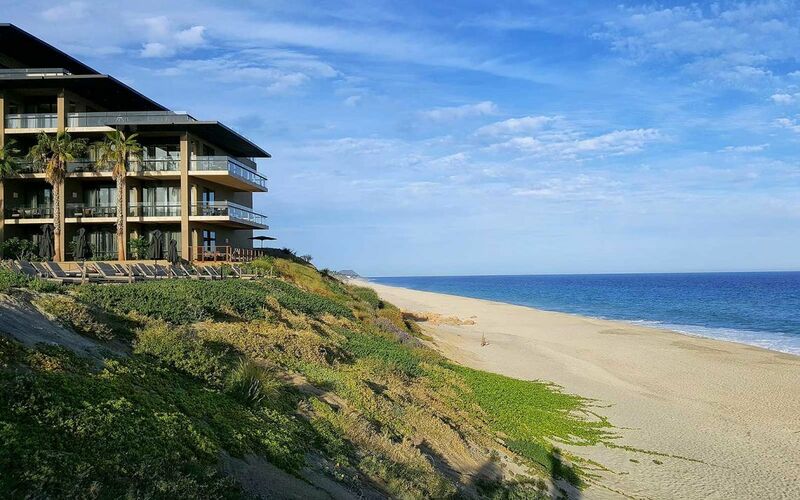 Take a look at some of my listings to see what kind of properties you could purchase in Cabo. If you’re looking to invest in a vacation home or rental property, the more, the better. Though the real estate market is lower in Cabo San Lucas than in the United States or Canada, the tourism market is much stronger. With low expenses and a high rate of return, buying real estate here is quite simply a good investment. Especially considering the accessibility to quality experienced property management companies in the area. Contact me for more information about rental properties in Cabo. Apart from the purchasing the properties themselves, maintaining them is often less expensive than in the United States as well. Similar to property taxes in the United States, predial in Mexico is a local tax paid quarterly by the owner. On average, it is 0.1% of the assessed property value (determined at the time of the sale). For a $500,000 property, annual property taxes will be around $250. As you can see, this is much less than the 0.25-2.5% property taxes paid by United States homeowners. Contact me for more information about living in Cabo San Lucas. Featuring all the amenities of a luxurious vacation, but at prices lower than living in the United States or Canada, I hope I’ll see you on the beach soon.